Whether its: Lights, camera, action! or Ready! Set! Eat! 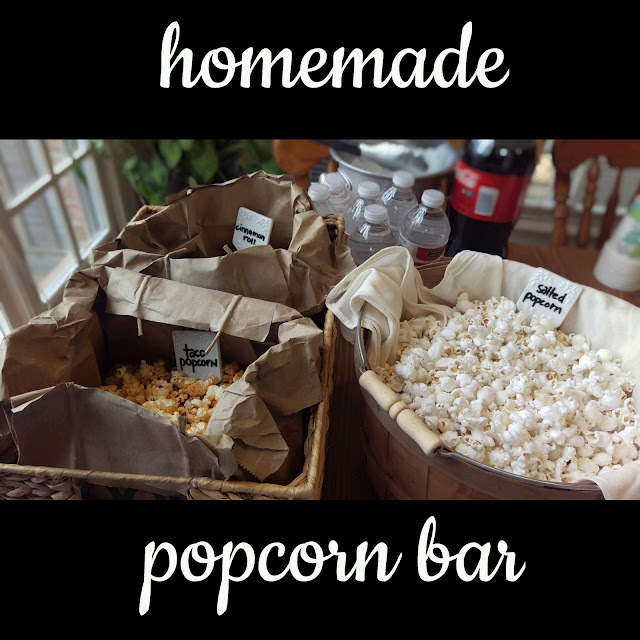 creating a DIY Popcorn Bar for your next party is easy. I helped throw one of my very best friends a baby shower a few months ago, to help celebrate her baby boy's impending arrival with lots of gifts and a little bit of good food. I just love the surprised look on her face! I got the bright idea to create a popcorn bar so everyone could snack on the tasty kernels and taken some home as a souvenir. I bought these janky little "party favor" boxes at the Dollar Tree and they were terribly small and I do NOT recommend them. 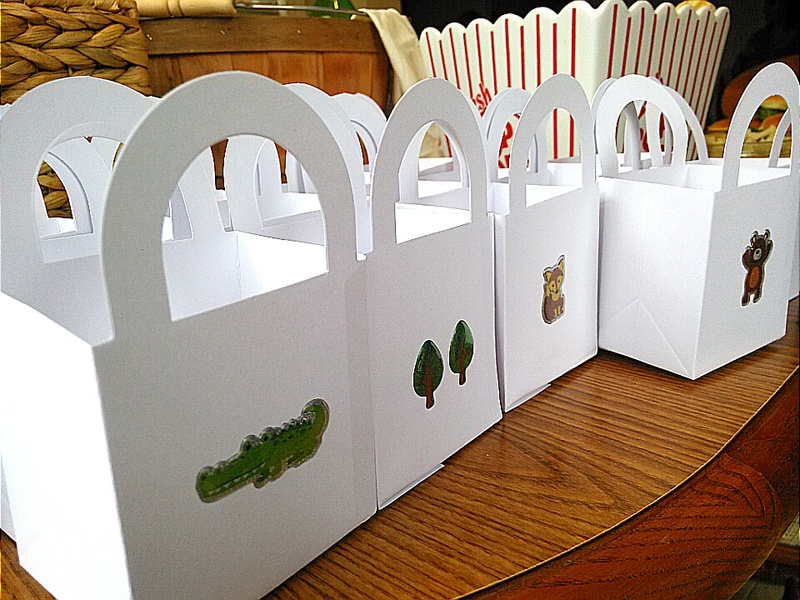 Instead, make or buy paper cones or paper bags so guests can snack at the party or take the bag home. Be creative! Put your popcorn in baskets lined with neutral or fun, decorative dish towels. Use plastic or ceramic popcorn boxes for display purposes. I bought mine from Sur La Table quite a few years ago. I've seen the plastic ones at Target and Kmart. Or go low-tech like me and repurpose brown craft paper bags into vessels by folding down the tops and placing them in large decorative whicker baskets. 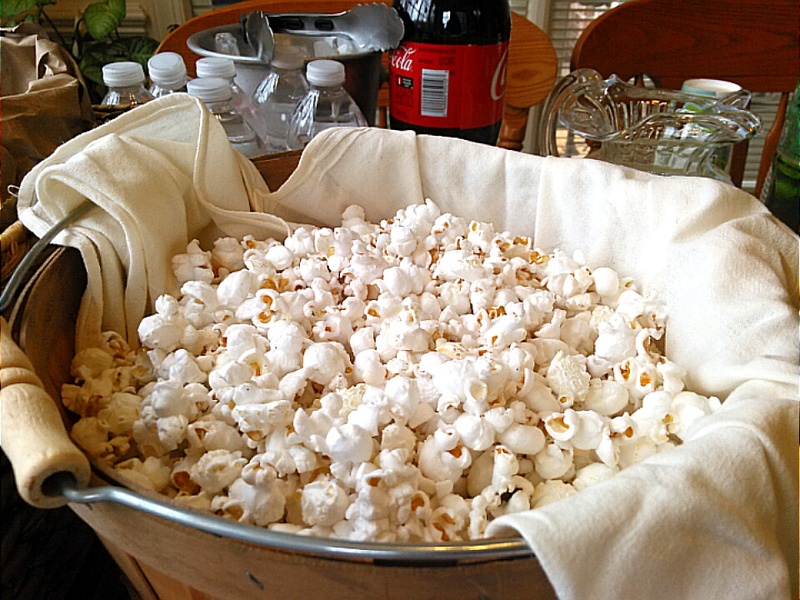 Use microwave popcorn or go old school and use a popcorn popper or pot on the stove for fresh popcorn. This is a super fun idea! Love it! What a great idea for a party. I'd love to be invited to a popcorn bar party! I especially love the thought of taco flavored popcorn! YUM!!! 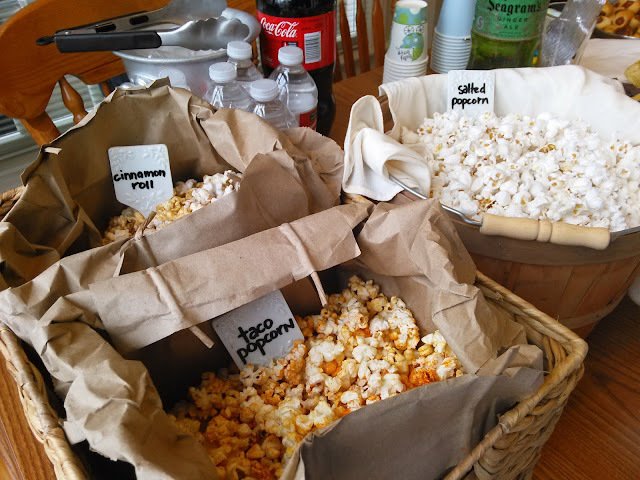 I love those flavors.... cinnamon roll popcorn and taco popcorn -- so creative and delish! Popcorn bar! What a totally fun idea, love it! Taco Popcorn is such a creative idea, my kids would LOVE this! Great minds think alike! 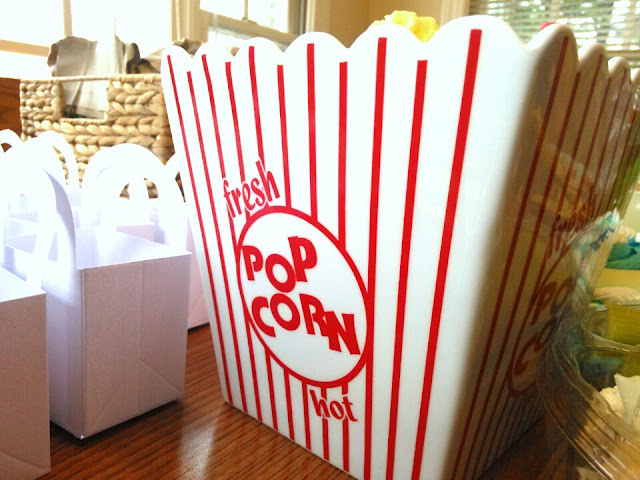 hahaha I'm doing a popcorn bar for my future sister in law's bridal shower in August. She wanted one at her wedding and they decided not to do one so I'm going to surprise her with one at the shower. love yours! What a fun idea! And so delicious. 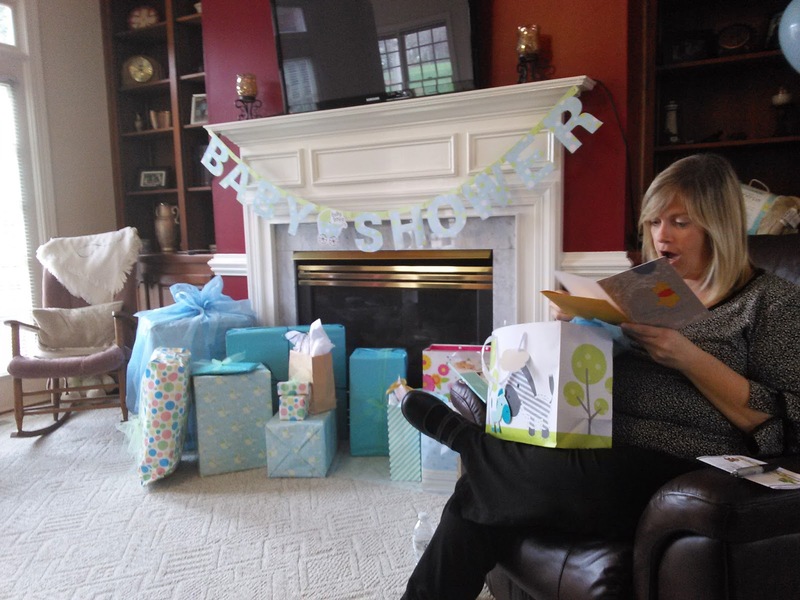 A nice change for sure from the usual baby shower stuff!